Home › Paint and Wine › It’s Wine O’ Clock, Girls! It’s Wine O’ Clock, Girls! Every Woman needs a Girls’ Night Out. Movies, dinners, book clubs, night clubs… you and your GOG (gang of girls, silly!) have possibly done it all. How can you turn your next outing into a new and exciting experience? Try this innovative concept called Cork N Canvas, introduced by American contemporary artist of Indian origin Gopaal Seyn. 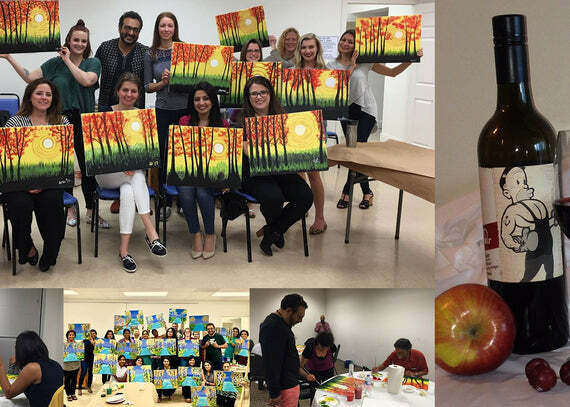 These Wine & Paint classes in Houston, Texas, are all about giggling, talking, drinking and painting. Leave it to the expert team to get the party started… paints, brushes, aprons, canvas, music and wine will be provided. All you have to do is land up with your BFFs and uncork your creativity! Per the alcohol policy, the class is open to those aged 21 and above and you can sign up on https://www.redbluearts.com/pages/contact-us. spice and all things nice, be a bit of all three at Cork N Canvas. 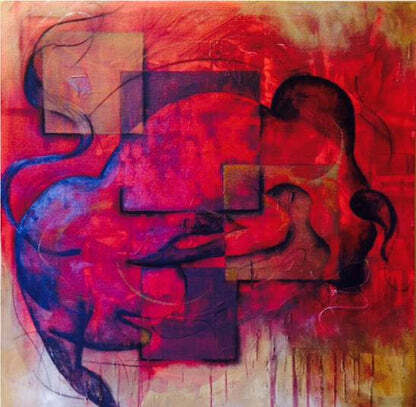 A spicy, naughty theme will keep you giggling as you peek into your neighbor’s canvas! - Girls, have a dress code. Dressing up always makes things so much more fun! - Click plenty of selfies and don’t forget to add the perfect filter. - Tell us what music makes you move, and we’ll keep the beats. - Leave the boys at home and keep the phones away. Let music, art and wine soothe the mind. You might call it Girls’ Night Out. We call it therapy. 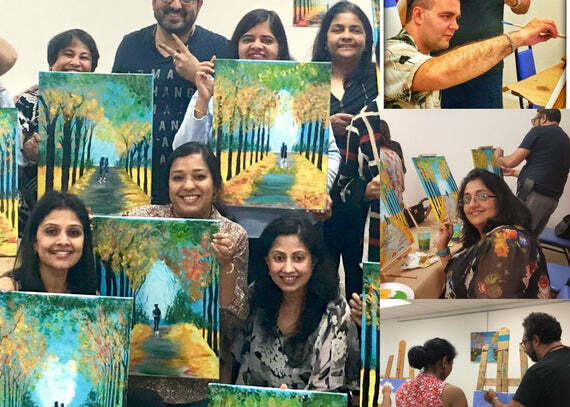 - Not only can you take your painting home, you can take the party home too! Cork N Canvas is the perfect way to start bonding and then extend the fun outing into a slumber party at home.